“Execution is the great unaddressed issue in the business world today. Its absence is the single biggest obstacle to success and the cause of most of the disappointments that are mistakenly attributed to other causes”. – Larry Bossidy and Ramcharan in “Execution: The Discipline of Getting Things Done”. Most of the corporate executives know that the key to success lies in effective execution. But many of them fail because they don’t put into practice in a systematic way what they know. Successful companies or leaders pursue execution as a science with a conscious, systematic and disciplined rigour. They don’t allow their visions and strategies to remain on paper but relentlessly convert them into reality. Another important success-factor in execution is change. In the fast-changing world of the future, rigid formulas of strategy or execution will not work. The factors of change have to be built into the strategic and executive framework. This article examines the challenge of execution in a changing world in the light of new insights, research and best practices on the subject. Shaping goals, charting the path, steering implementation, managing change, monitoring results. Shaping goals, which require clarity on goals. Engaging people, which means choosing, empowering and rewarding people who can get things done. Let us now briefly examine what are the critical factors in each of these domains which can bring excellence in execution. Quality of employees (Kaplan S and D.P.Norton, 2012). A financial goal: reaching a certain level of business, profitability and return on investment in a specified time-frame. An admiration goal: being among the best employees in a given category or to win an industry-level award or recognition. A goal towards social sensitivity, something that organization would stand for. To achieve $ 231 million in revenue. To be among the top 10 percent in our business in terms profit after tax and return on investment (ROI). To be on the top 20 globally admired companies in our industry. To give a significant portion of our PAT (Profit After Tax) to support primary education. (Bagchi S, 2006). Move away from businesses that were being commoditized towards businesses that manufactured high-value, technology products and sold services instead of things. To be No. 1 or No. 2 in every market and fix, sell or close to get there. GEC, in its more recent website states its mission as “Finding solutions in energy, health and home, transportation and finance, building, powering and curing the world” and its strategic advantage as “placing its bet on 40 high impact projects that will help increase our speed to market, improve the quality of our products and services, significantly reduce costs, and drive competitive advantage for our customer and our company”. Both these factors have to be described interms of present condition and future plans of requirements in the area of human resources, skill-set, knowledge, infrastructure, products or services, quality, competitive landscape, opportunities, threats, trends. From the angle of execution, there must be a constant stress on realism or practicability while building the strategy. Most of the strategic thinking turned out by consultant and academics tend to be theoretical and conceptual. Though conceptual, big-picture thinking may be necessary for strategy it must be balanced by down to earth realism. One way to do this is to encourage probing questioning and debate on the practicability of ideas during strategy sessions. Larry Bossidy and Ramcharan give the following example to illustrate this point. “Imagine a market universe composed of two sorts of oceans: red oceans and blue oceans. Red oceans represent all the industries in existence today. This is the known market space. Blue oceans denote all the industries not in existence today. This is the unknown market space. —In the red oceans, industry boundaries are defined and accepted, and the competitive rules of the game are known.—Blue oceans, in contrast, are defined by untapped market space, demand creation, and the opportunity for highly profitable growth.”(Kim.C and Mouborgne. R, 2005). A good strategy has to provide an innovative idea for breaking into the uncontested market-space in blue-ocean. For example, South West Airlines created a blue ocean of low-cost flying, by providing the speed of air travel with the cost of automobile transport. We have the goals and the strategy. The next step is to convert them into actions which will steer the organisation to its goals. The real execution begins with decision-making. We will not enter into any detailed discussion on this complex subject. In this article, we can only highlight some executional imperatives of decision-making. The first requirement is to define clearly the decision-boundaries, which means who is responsible for what decisions. The second condition is to ensure that each decision-maker has the information, knowledge and the skill to make the right-decision. Organisational processes and systems are the main instruments for converting decision into action. In this domain the main success-factors are effective systems for problem-solving and continuous improvement, Toyota is one of the exemplars in this area. In this Japanese auto-major, workers are provided with detailed guidelines on problem-solving and process-improvement. For example there are manuals in Toyota on how to ask repeated “why” until you reach the root cause of a problem. However in a holistic perspective continuous improvement has to be pursued in four dimensions: first is techno-economic, in terms of efficiency, productivity, utility, cost-reduction and technological upgradation; second is ecological which means a constant effort towards reducing the carbon footprints of the company in terms of pollution control, waste reduction, energy conservation and recycling; third is aesthetic dimension, which means effort towards a more and more beautiful and harmonious corporate life from the supply chain and production, to product design and packaging; fourth is the human dimension in terms of a conscious and constant quest for a progressive perfection, excellence, wellbeing and fulfillment in work. Another practice which can enhance executional excellence is a culture of collecting and sharing best-practices within and across the organisation and also collecting them outside the organisation. In GEC, this culture of best practices is called “boundarylessness” which means, as the former CEO of GEC, Jack Welch explains: “relentlessly seek out best practices, whether inside or out, adopt them and continually improve upon them—whether its sources was a colleague, another GEC business or another company across the street or on the other side of the globe.” (Welch, J, 2005). The other great challenge of execution is to arrive at the balance between standardization for efficiency and creative freedom for innovation. For maximising efficiency, those domains or process which does not require much creativity have to be standardized. On the other hand, in activities which require innovation and creativity, there must be sufficient freedom for people to respond creatively to the changing needs and situation. For example, Ritz-Carlton, the well-known hotel chain, gives large freedom for front-line team to plan, innovate and decide what is best for serving the customer. But it maintains carefully defined standards for cleaning room and other facilities. We are now brought to the last part of the journey which is to monitor results based on well-defined performance standards. There must be some form of a scorecard or matrix for measuring and monitoring the progress and results of the process of execution. There is the well-known “balanced score-card” system of Robert S. Kaplan. In an article in Harvard Business Review, Kaplan and his coauthor Norton define the objective of a balanced scorecard as to provide executives “with a comprehensive framework” for translating “a company’s strategic objectives into coherent set of performance measures.” Kaplan’s scorecard “complements traditional financial indicators with measures of performance for customer, internal process and innovation and improvement activities.” Kaplan gives the example of Rockwell, which we have cited earlier. This global engineering company has a scorecard which measures the company’s performance on four parameters: financial, internal process, customer satisfaction and growth. Each of these categories is subdivided further. For example, internal processes are measured in terms of tender effectiveness, quality service, safety and superior project management. (Kaplan S and D.P.Norton, 2012). However each company has to evolve a scorecard which is in harmony with its unique needs. As Kaplan points out: “The balanced scorecard is not a template that can be applied to business in general or even industry wide. Different market situation, product strategies and competitive environments require different scorecard. Business units device customized scorecards to fit their mission, strategy, technology and culture.” We may add one more factor to the scorecard: values. There is at present increasing recognition of the importance of values for long-term effectiveness of the organisation. Many progressive companies regard value as a crucial factor of success. But performance in values cannot be measured or quantified as in other parameters like finance. However if a company regards values as a vital factor it has to find some methods by which it can assess how they are lived by its employees in all the levels of the organisation. For example, the Indian IT major Wipro conducts such periodic value-assessment surveys among its employees. Another important part of monitoring is to build alignment which means, at every step of the execution, the CEO or COO of the company has to ensure that all the stages and various parts of the process of execution are aligned with each other, for example strategic goals are aligned with vision, operational objectives are aligned with strategic goals, performance measures are aligned with operational objectives, decisions are aligned with values. This requires an organisational structure where information flows freely across the organisation without any fetters created by hierarchy or divisions and a culture of collaboration made of cross-functional teams. Our discussion so far is based on some enduring principles of execution. But we have to incorporate into it some of the realities of the new and future world. In the corporate world, it is the reality of change. The old world is relatively placid and static in comparison to the new world which is hyper-dynamic, changing and competitive. In the context of execution, effective coping with change requires three qualities: first is flexibility which means the ability to adapt quickly to the changing needs of the customer and the environment; second is vigilance or alertness which means the ability to perceive an opportunity or threat before the competitors, when it lies in the realm of possibilities and not yet become an actuality; third is speed which means the ability to move fast to seize the opportunity through a rapid deployment of resources. These qualities have to be built into the strategic and operational systems. Strategy should not become a static document or a scripture; it should be a dynamic, flexible framework which is constantly reviewed and modified in response to the changing environment; it requires a more nimble organisational structure than the rigidly hierarchical traditional system. On the operational side, a new idea and practice which is gaining increasing recognition among progressive companies is the empowerment of the front-line worker or the team who are in direct contact with the customer and the environment. You can’t move with change, quick and nimble, if every decision has to move up and down the corporate hierarchy. Effective change-management requires full empowerment of the front-line team. They have to be provided with the freedom, autonomy, information, training and the skill to take the decision and the initiative to deal with the changing needs of the environment. We have already cited the example of Carl-Ritzon hotel, where the fully empowered self-managing front-line team manages customer service and relationship without any interference from the upper layers of management. However not all decisions can be taken by the front-line team. There are strategic decisions which can be taken only by top management. For such decisions, there must be effectives systems by which facts and information regarding the customer needs and the changing environment are carried quickly to the top. The main instrument of the parallel operating system is a cross-functional team of volunteers drawn from the entire organisation, cutting across hierarchy and divisions. The team is authorized and empowered with sufficient autonomy and resources to focus on specific change initiatives and projects. Accomplished line-executives with a well-developed pragmatic mind. Front-line workers or executives with a capacity for keen observation and an alert instinct for facts. “The first things I look for are energy and enthusiasm for execution. Does the candidate get excited by doing things, as opposed to talking about them? Has she brought that energy to everything she’s done, starting with school? I don’t care if she went to Princeton or to Podunk State; how well did she do there? Is her life full of achievement and accomplishment? The next question is how to keep the executive talent motivated and engaged. Performance based rewards are essential for motivating people with executive competence. However in assessing performance how they achieved the results is as important as the achievement. A manager may achieve the numbers by authoritative bullying of his subordinates. But such crude ways of achieving results will destroy the morale of people. So, assessment of performance should be based on a holistic perspective which goes beyond quantitative results and includes qualitative factors like ethics, values, relationship with people and long-term vision. Much has been said and written about vision and strategy in management literature, but inspired visions and brilliant strategies fail to produce results because they are not aligned with a framework of disciplined execution. For effective execution, it has to be viewed in a holistic perspective, as part of a total management process, and built into every stage of the process, from setting goals and charting the strategy to every step of the process of implementation or in other words, it has to be backward integrated with vision and strategy and forward integrated with implementation. Bagchi, Subroto, (2006) High Performance Entrepreneur, Penguin Books, New Delhi, p.70-82. Kaplan, Robert and Norton, David ‘Putting the Balanced Scorecard to Work’, Ground Breaking Ideas, Harvard Business Review, On Point, August-September, p.54-67. Kotter P.John, ‘Accelerate!’ Harvard Business Review, November 2012, p.41 to 50. Larry Bossidy and Ram Charan Execution: The Discipline of Getting Things Done, Business Books, p.15, 27-28. Welch, Jack (2005) ‘Winning’, Harper Collins, New York, p.91, 270. 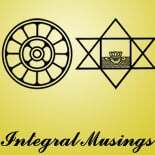 This entry was posted on May 27, 2014 by integralmusings in Integral Management.